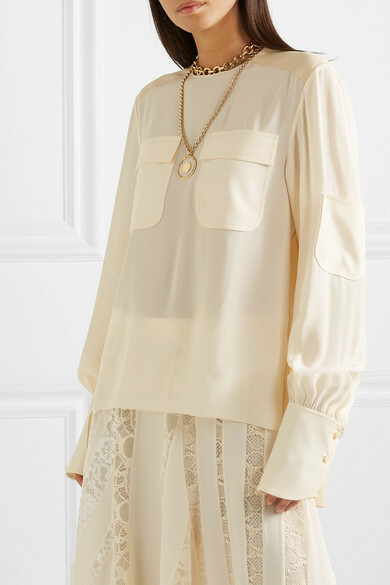 Every season, Chloé's Creative Director Natacha Ramsay-Levi includes a fluid cream top - this one is part of the Resort '19 collection and might just be her coolest version to date. 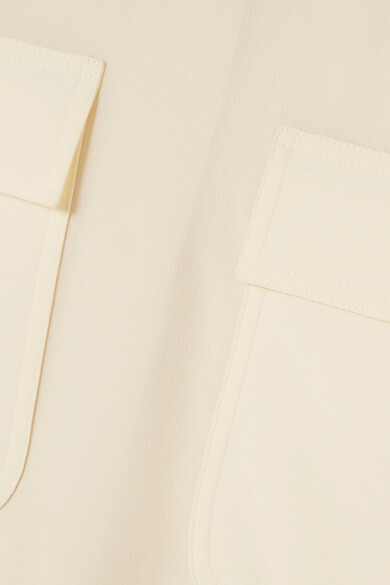 It's cut for a loose fit from slightly sheer silk crepe de chine and fastens with lustrous mother-of-pearl buttons at the back. The pockets and cuffs are oversized, and the shoulder panels are a slightly darker shade. Shown here with: Chloé Skirt, Chloé Shoulder bag, Chloé Sandals, Chloé Choker, Chloé Necklace.